Flexible drawdown is the most common way of accessing the new pension freedoms introduced by the government in April 2015. If you want to take just a tax free lump sum, access all of your pension or just take control of your pension fund so you can decide how and when it is used, then flexible drawdown could allow you to achieve your objectives. By using a flexible drawdown pension all limits are removed on how much you take out of your pension and when you take it. This means that you could take all of your pension fund as a single lump sum if you want. While this may be good for one customer, it may not be ideal for another. The key point is that your pension once in drawdown becomes fully flexible and you can decide how to use it to best suit your needs. It is important to remember that the first 25% of your pension fund can be paid to you as a tax free lump sum. The remaining 75% of your flexible drawdown pension is liable to income tax no matter when you take it. You may be able to manage your pension so that you pay as little tax as possible. In some circumstances you may be able to manage to pay no tax whatsoever. This is the benefit of flexibility. Of course there are some risks. There is a concern that people may leave a perfectly good pension to get access to a flexible pension. For this reason, many people with a Final Salary Pension will need specialist advice. Equally if you exhaust your pension fund then you may struggle to pay your bills during retirement. All the while you are in flexible drawdown your pension fund remains invested, this means that it has the potential to grow – even after you have taken money out of it, but equally it could suffer from investment market crashes. Our calculator opposite will provide you with a costed flexible drawdown quote, you can see potential growth rates (for defined contribution pensions) and get more information on how you can use it. Flexible Drawdown can be used in many ways to help customers achieve their own personal goals. For many it is likely to be more tax efficient than using their personal pension like a bank account (UFPLS). We will give you an information pack explaining the important things you need to know including the risks as well as the benefits and a free no obligation quote. For your free flexible drawdown quote please use the form opposite. All of the examples above can carry a number of risks or possible tax charges. Before you make any decision, it is imperative that you are fully aware of flexible drawdown pensions and the vaious ways it can be used. It is also impportant that you understand how your money is invested and any potential tax issues. At Best Pension Annuity, we have been assisting shoppers to make use of their pension funds in all manner of ways. We are exceptionally proud of the feedback our customers give us. If you have any question about flexible drawdown pensions or how we can help, please don’t hesitate to contact us. 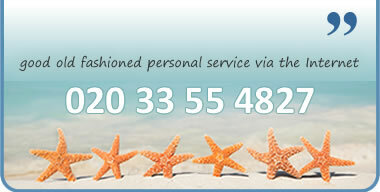 You can call us on 020 33 55 4827 Now ! !